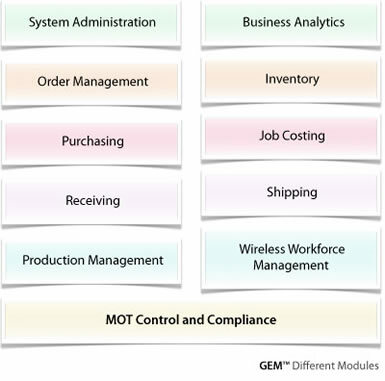 Manufacturing & Operations Management provides access to GenesisGS Enterprise Management [GEM]. This enterprise business application is used to measure and track the entire manufacturing process from the time of order through post-delivery support. GEM manages all the production stages involved in the delivery of LSF homes and commercial buildings. This includes project planning and management, ordering and procurement of materials, as well as the bar-coding and wireless tracking of every light-steel panel through production to delivery. This integration with wireless tracking of every detailed shop floor data capture including workforce management for all employees. The advantage of the GEM software is the seamless integration with GenesisGS FrameBuilder design software. This integration with the engineering/design component of the solution stream ensures exact, efficient transition in order to manufacture and manage each unique light-steel panel to GEM.